Margaret Robinson was born in April 1899 at L'Anse des Meres, Quebec City to Alfred Martin Robinson and Mary Ellen Doran. 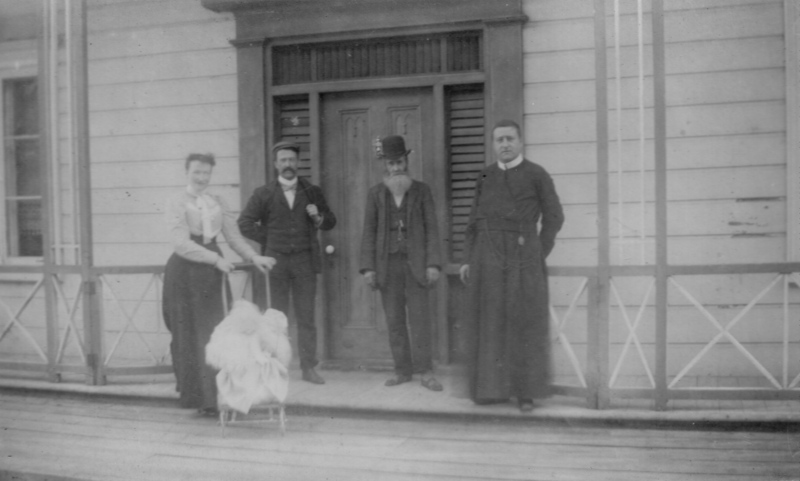 She was baptized at Saint Patrick's Church - the parish to which so many family events are linked. 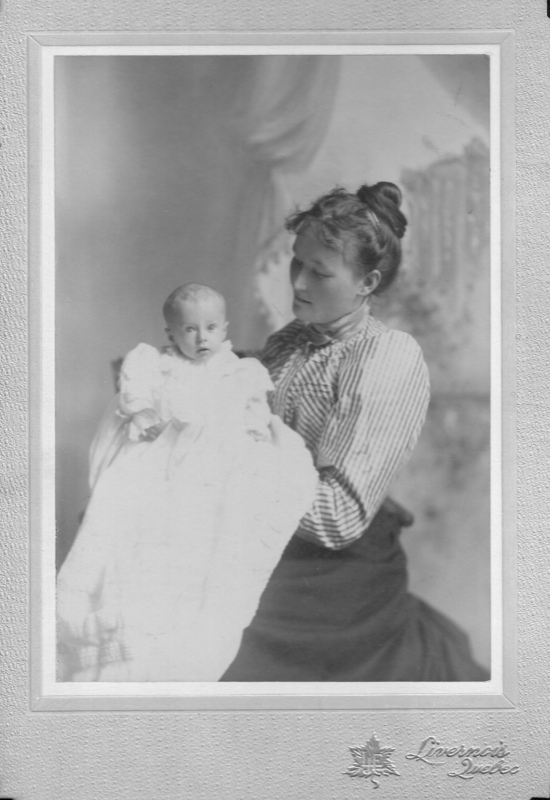 Her initial years were spent on Champlain Street in the midst of the lumber mills and shipping where her Grandfather George worked. The family later moved from Champlain Street to Maple just a short walk from the historic Plains of Abraham. Margaret, along with her sisters Ruth and Lily, studied at the Ursuline Convent. It is there, along with their devout upbringing, that they likely gained a desire to work to help and support others. 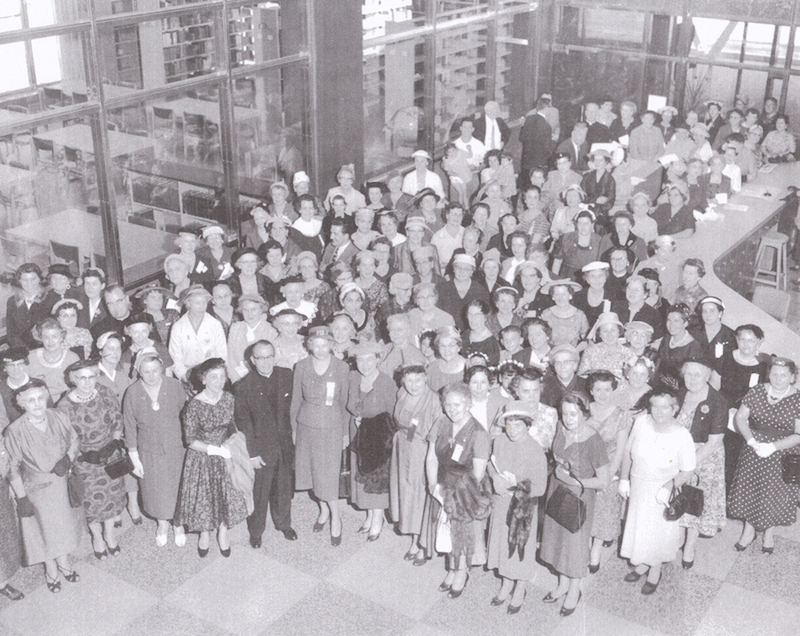 The Robinson sisters supported causes throughout their lives. 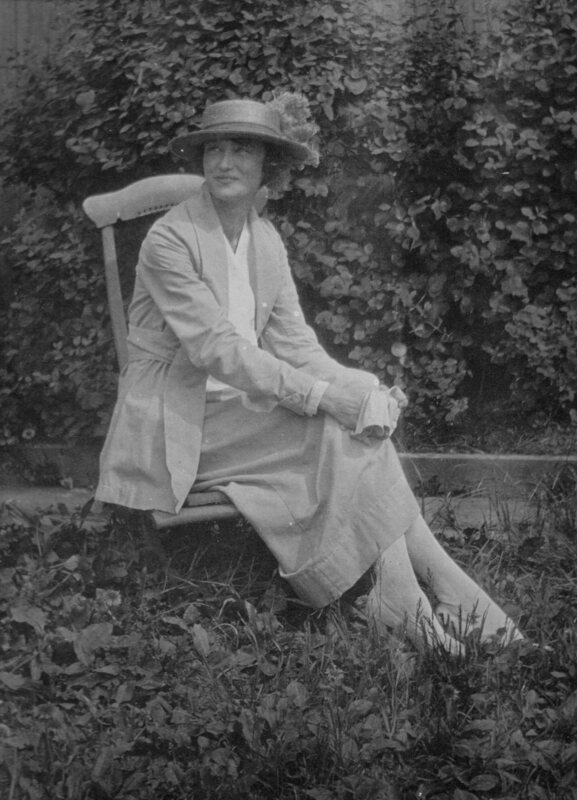 Margaret, among others, held executive positions with the Soldier's Family Welfare Bureau, the Maple Leaf Services Club, Service Familial, Centre Pyscho-social, Saint Patrick's Library and the Committee on the Legal Status of Married Women in Quebec. 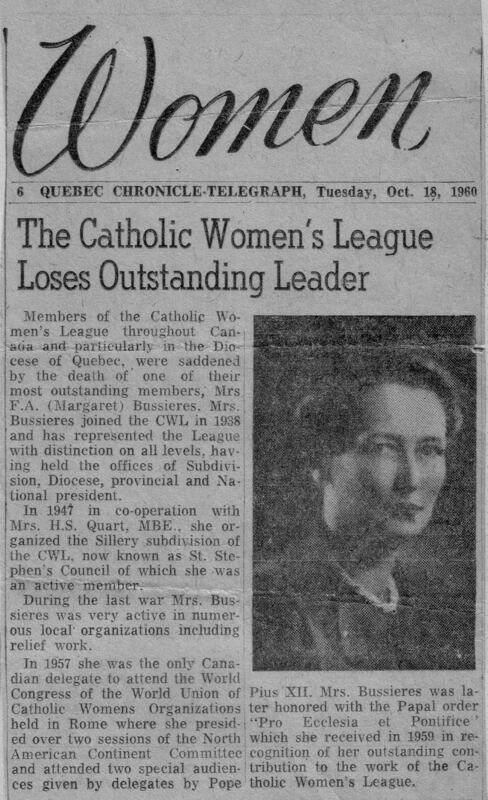 The highlight of Margaret's career is without doubt her work for and with the Catholic Women's League. A member from 1938 until her death in 1960, Margaret held a series of positions as an active member at the local, Provincial and National levels. 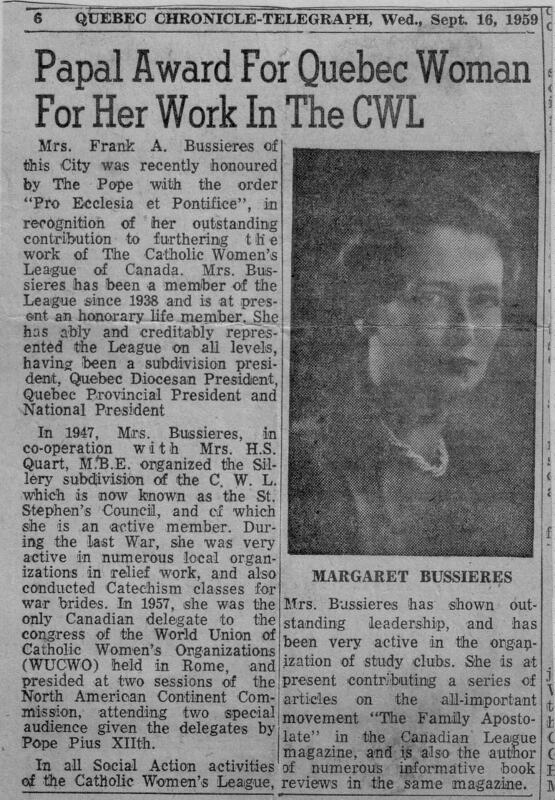 From 1945 to 1947, she was Quebec Diocesan President and in 1956 was elected as National President of the CWL, a position she held until 1958. 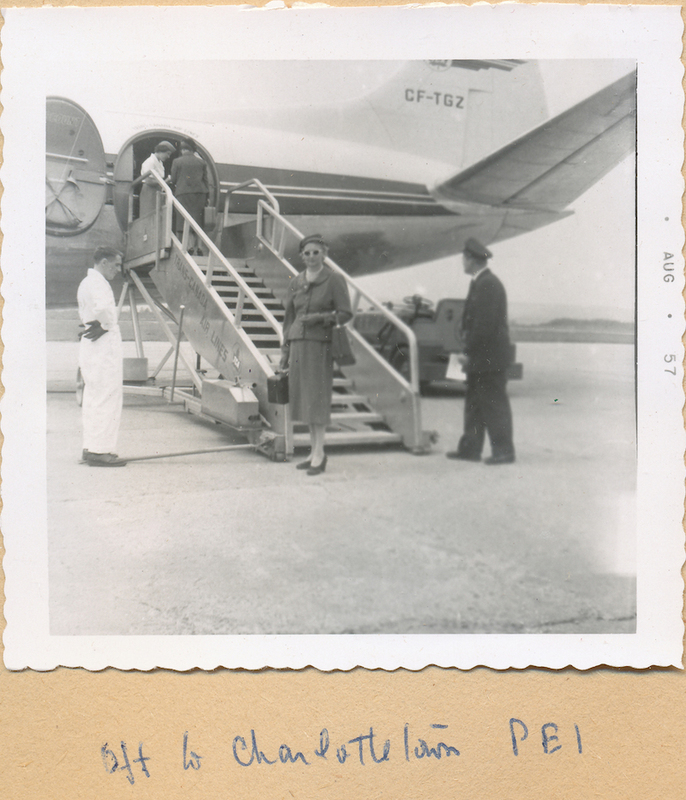 Her time as President provided Margaret with the opportunity to travel across Canada to give speeches and attend key events. 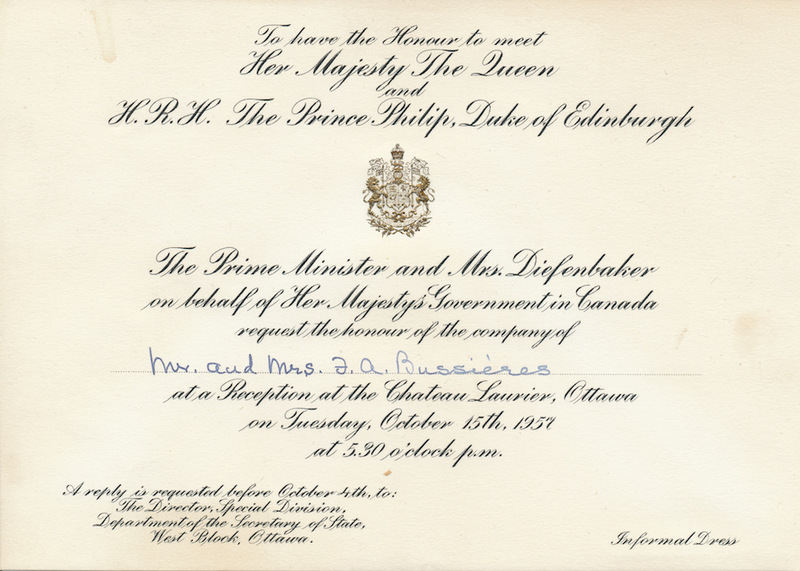 Events that Margaret attended include an invitation from Prime Minister Diefenbaker to meet Princess Margaret in 1958, another from Diefenbaker to meet Queen Elizabeth and Prince Phillip in 1957 and Archbishop Maurice Roy. She placed high value in education which was reflected in her speaking engagements. 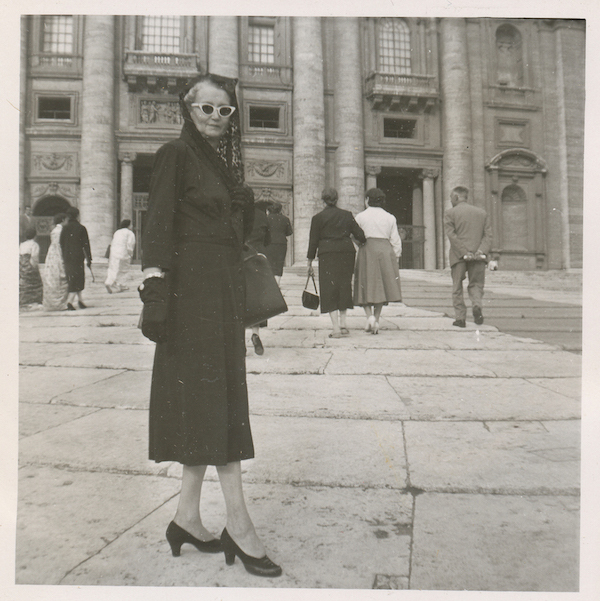 She was also called upon as the sole Canadian at the World Union of Catholic Women's Organization in Rome in 1957 where she had an audience with Pope Pius XII. As her time as National President came to an end, she was awarded the CWL's Lifetime Membership for all the work that she had done over a span of 22 years. 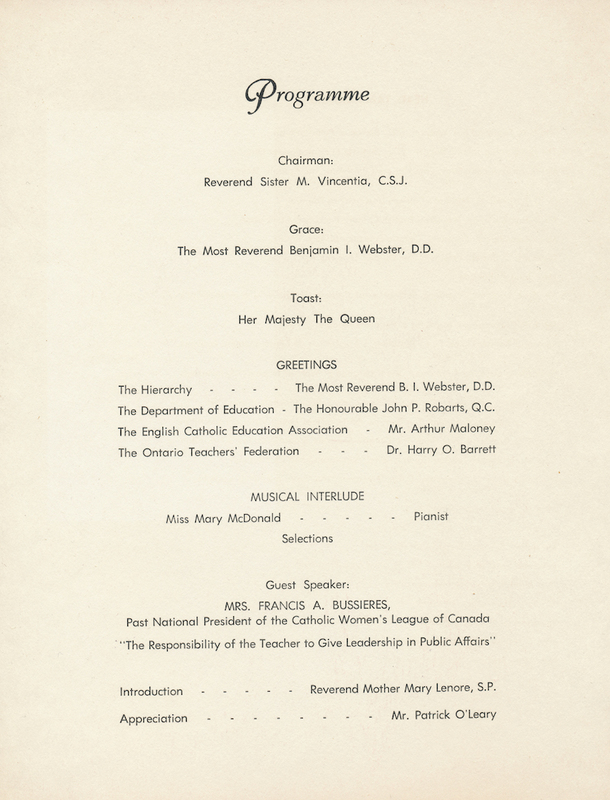 In 1959, as a recognition for her work with the Catholic Women's League and many other organizations, Margaret was awarded the Pro Eccelasia et Pontifice in 1959. Also known as the Cross of Honour, it is the highest award that the laity can receive from the Pope. 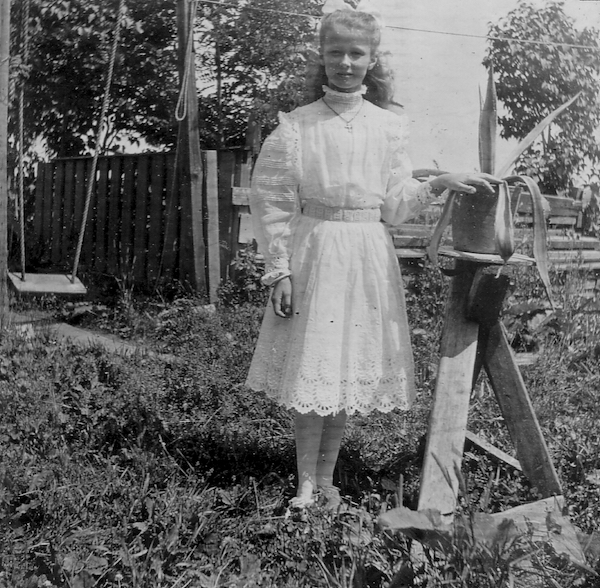 Margaret sadly passed away in 1960 after having been hit by a car while walking home from Mass at Eglise Saint Charles Garnier in Sillery, Quebec.